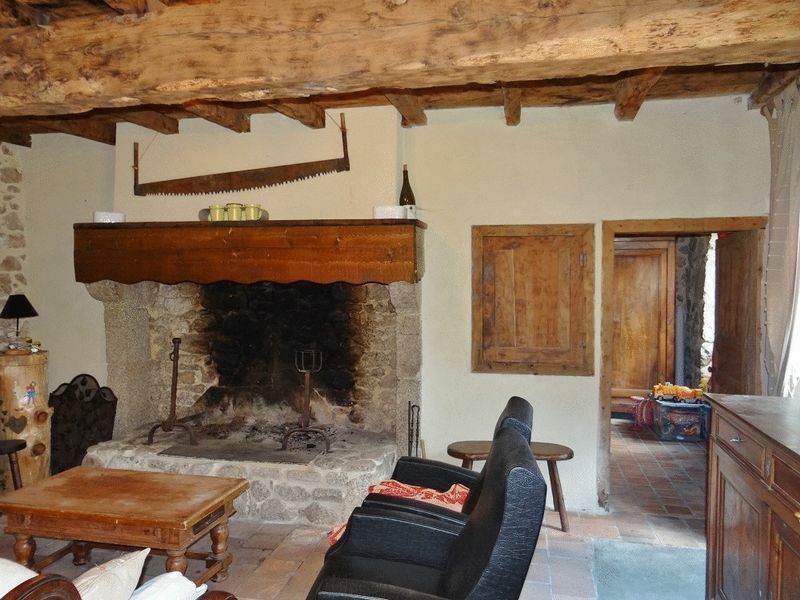 CHF13851 Character Renovated 2 Bedroom Cottage with Large Attached Barn and Outbuilding set on over 1/2 an acre of Gardens, located close to the popular market town of Piegut. 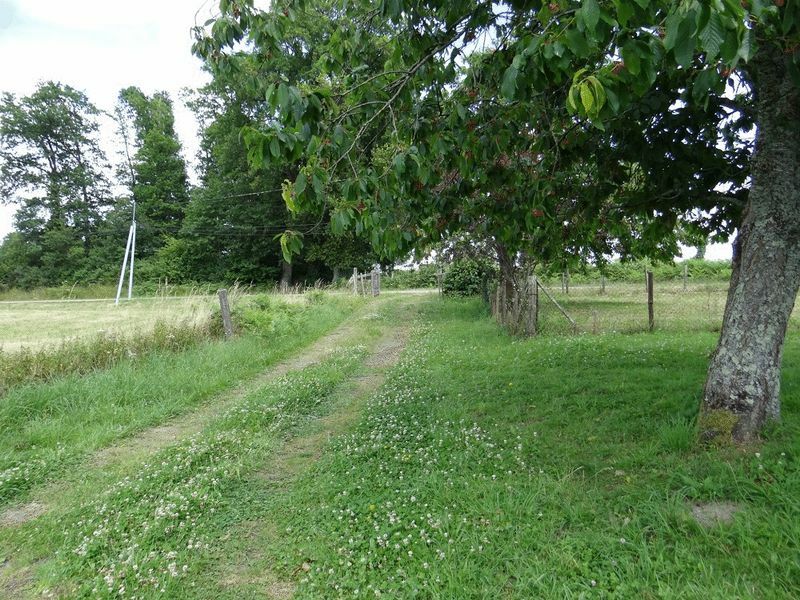 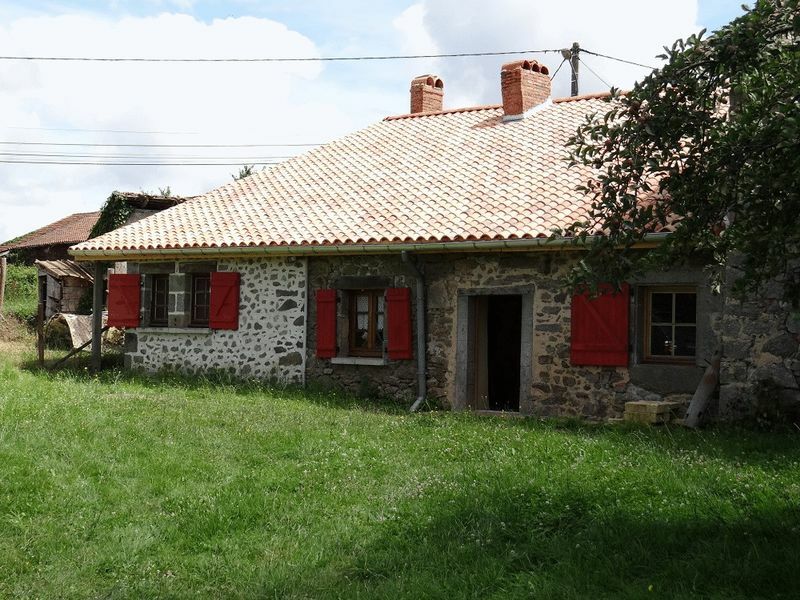 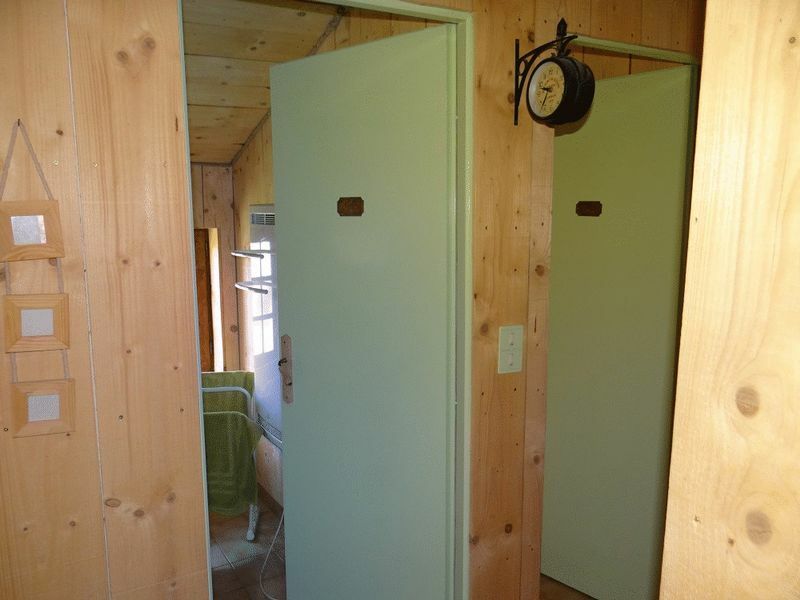 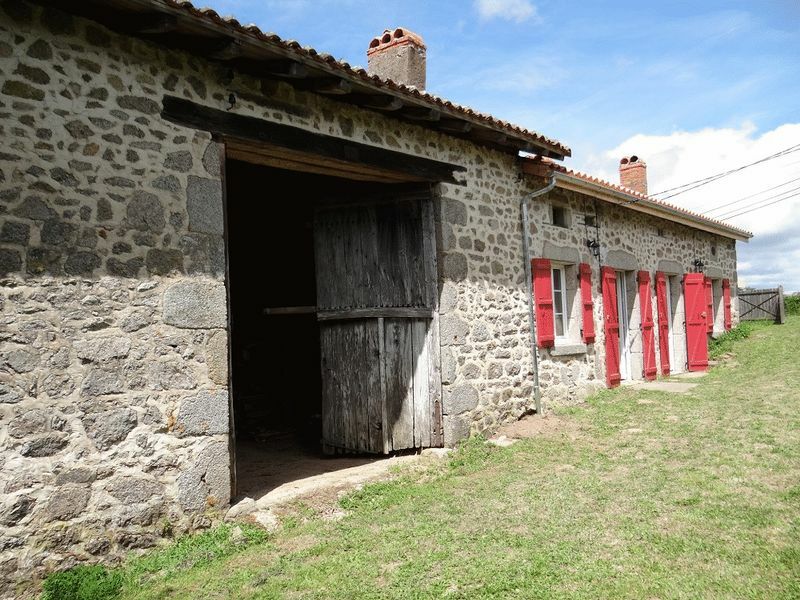 The property currently offers 85 m² of habitable space on one level and has the potential to convert the attic space above the cottage or enlarge into the attached barn to create further accommodation. 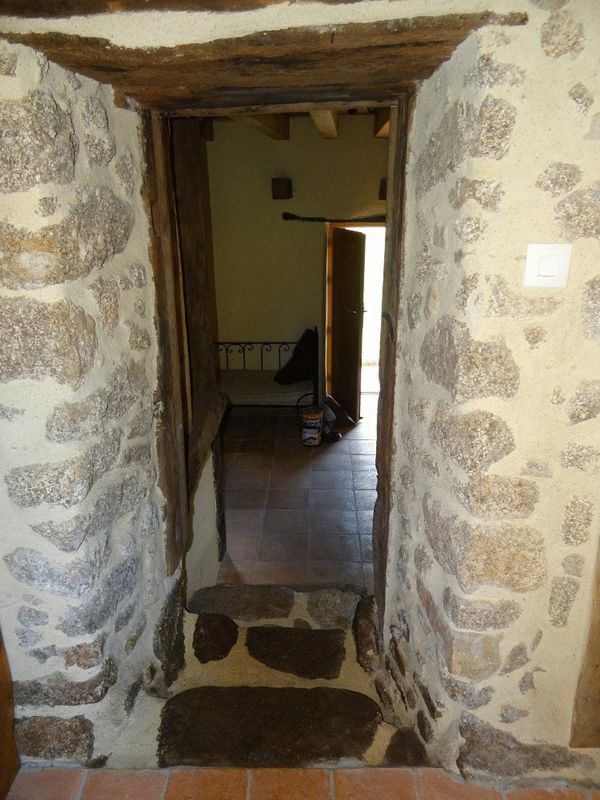 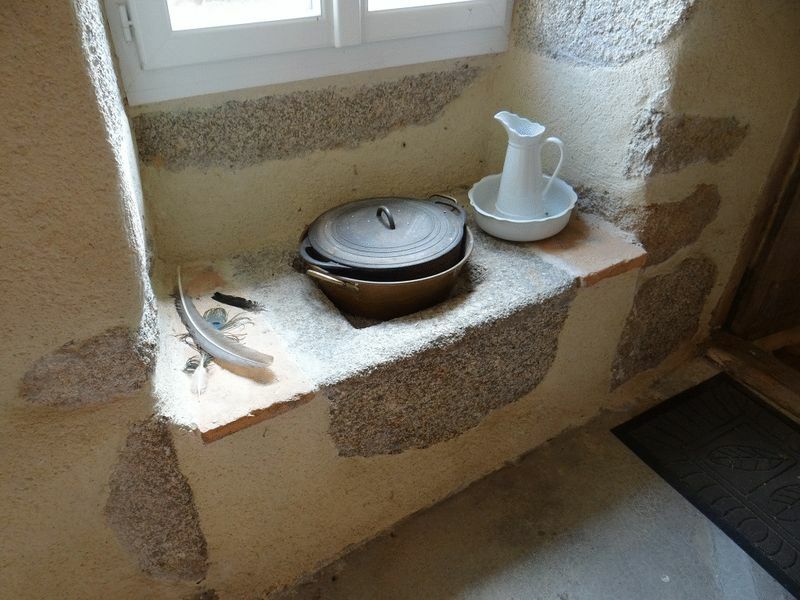 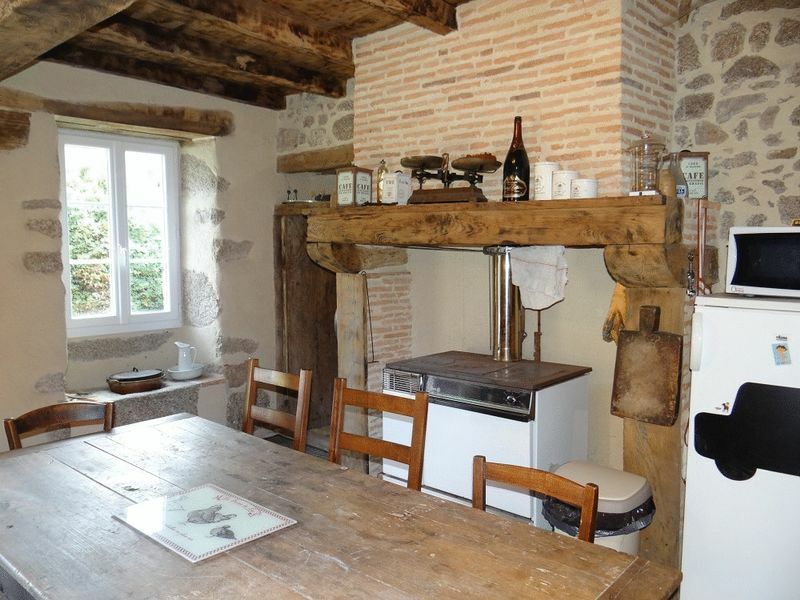 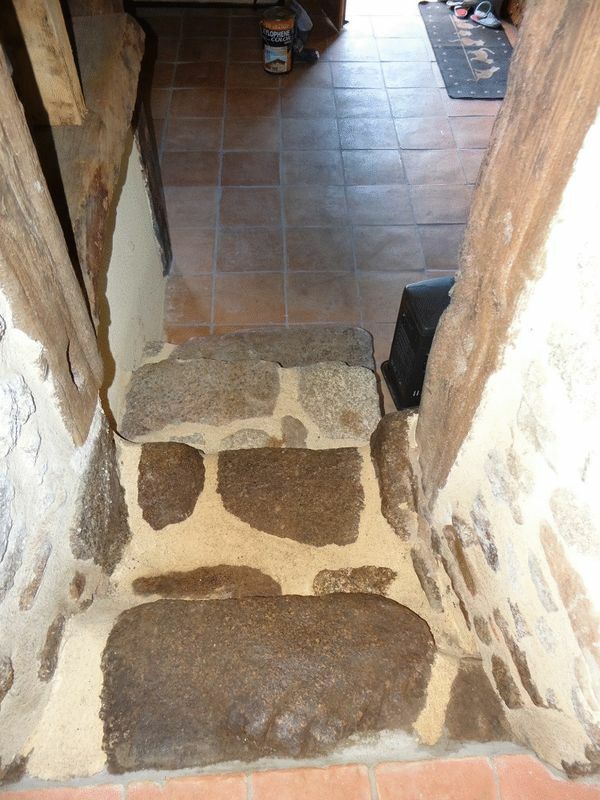 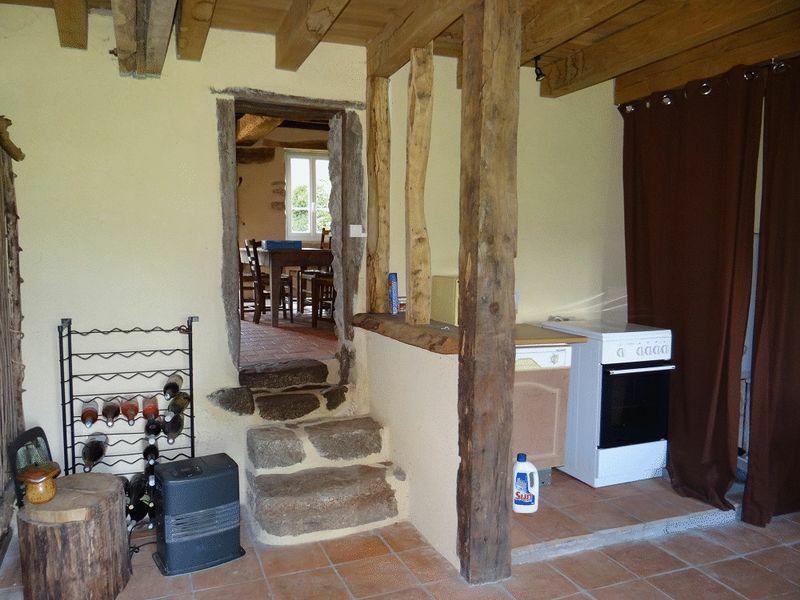 The Cottage comprises on the Ground Floor : Entrance / Utility Area 15.8 m² with exposed stone walls and beams. 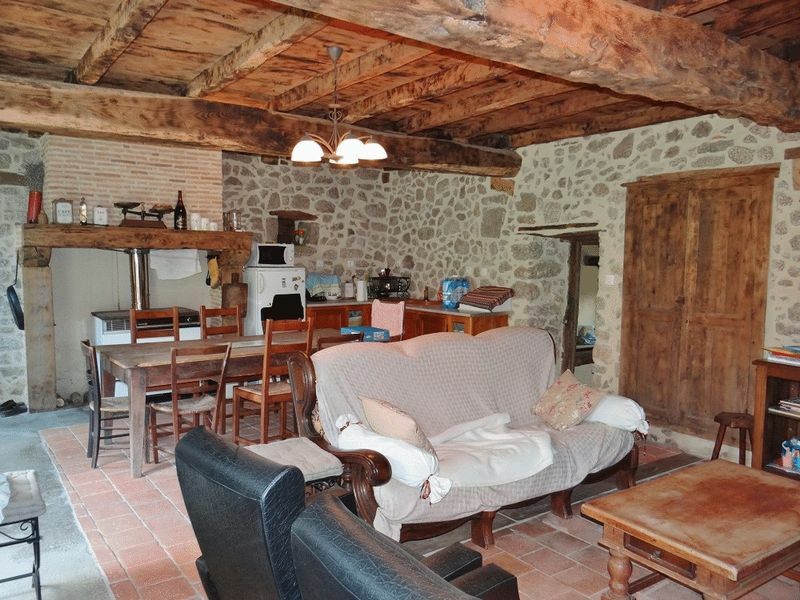 Living Room with Fitted Corner Kitchen 33.8 m² with 2 fireplace's (one with fitted wood burning stove) tiled floor, exposed stone walls and beams. 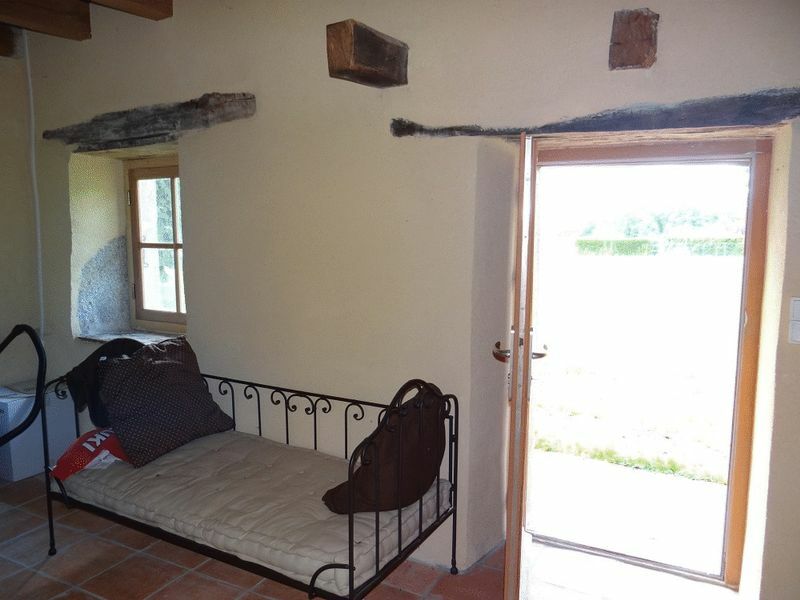 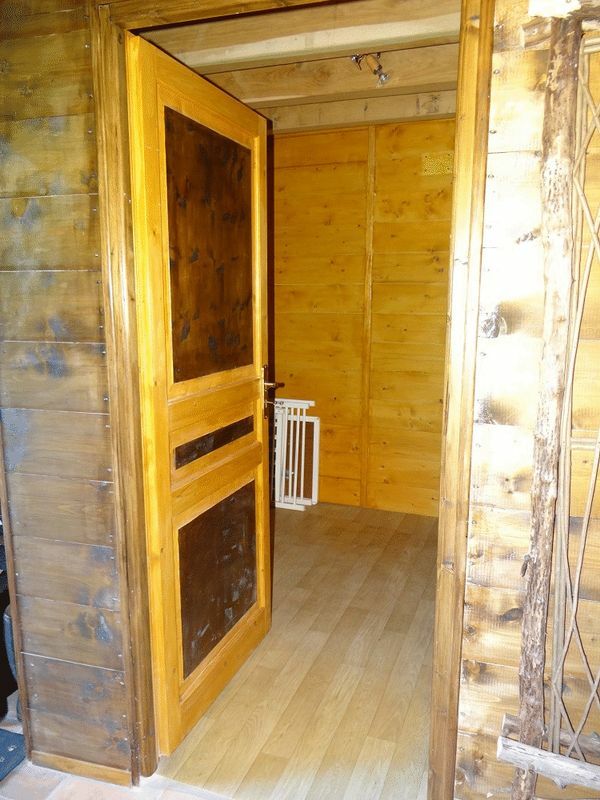 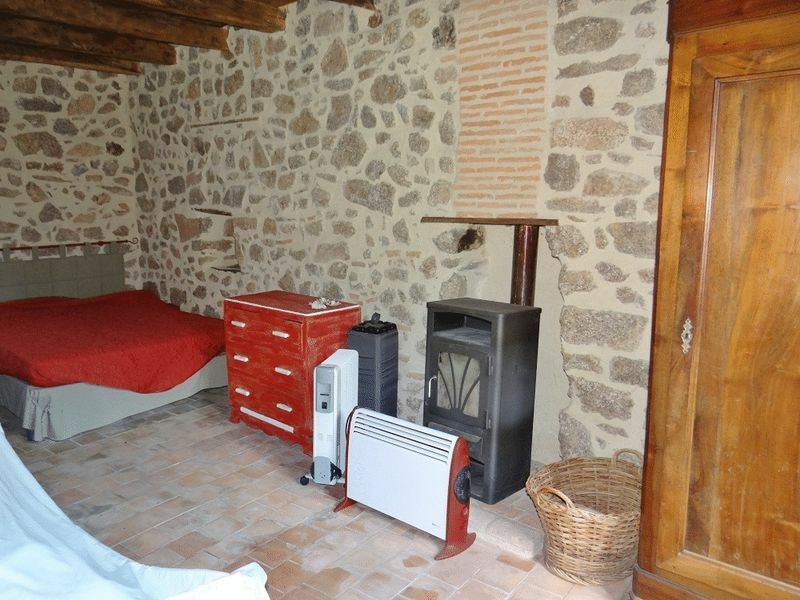 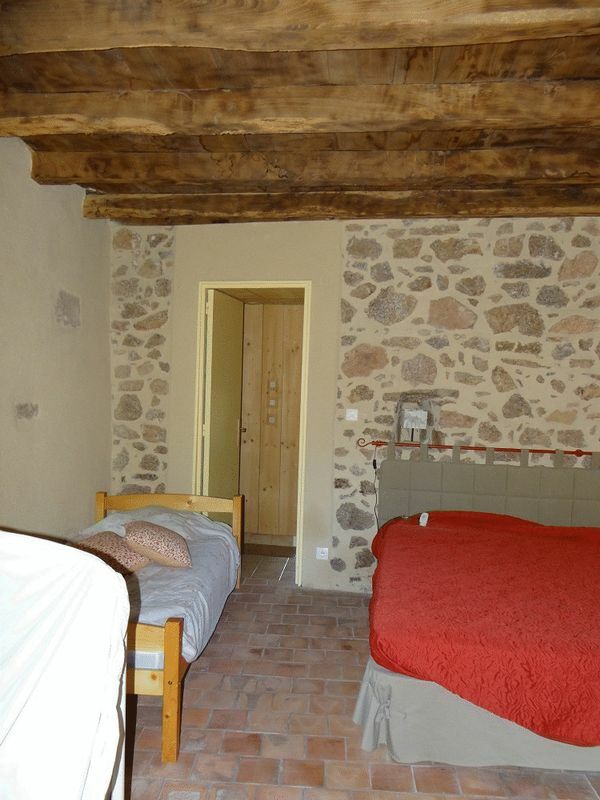 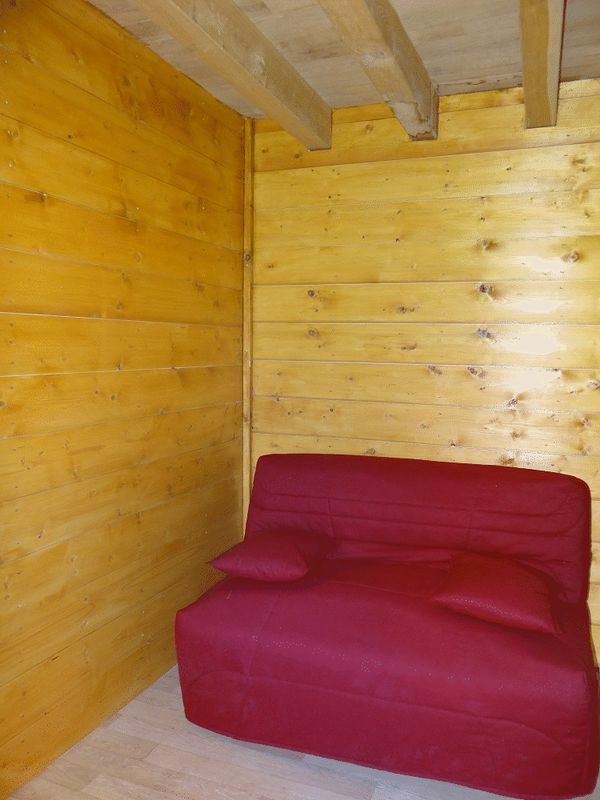 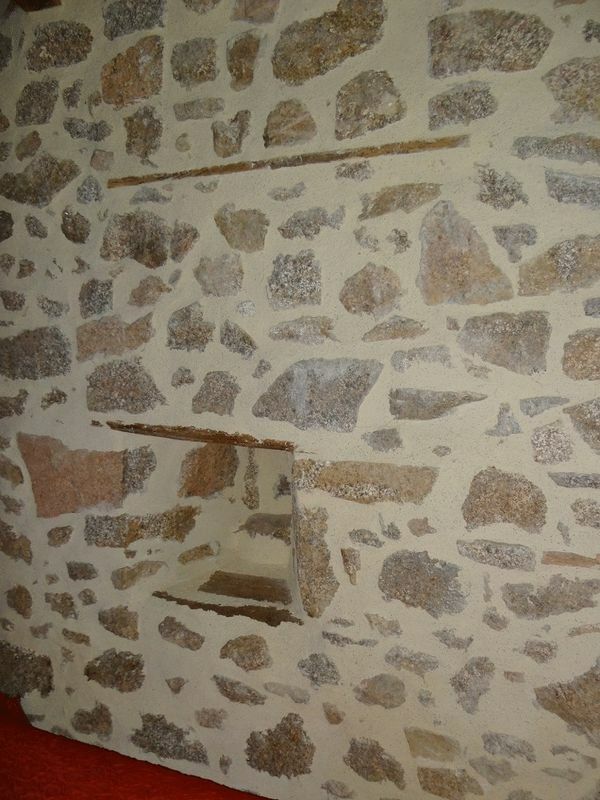 Bedroom (1) 19.2 m² with tiled floor, exposed stone walls and fitted wood burning stove. 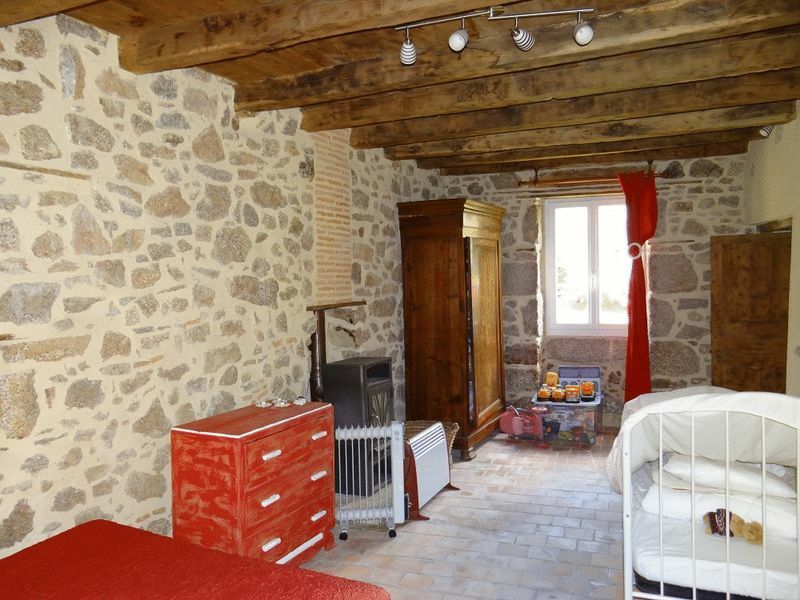 Bedroom (2) 7.4 m². 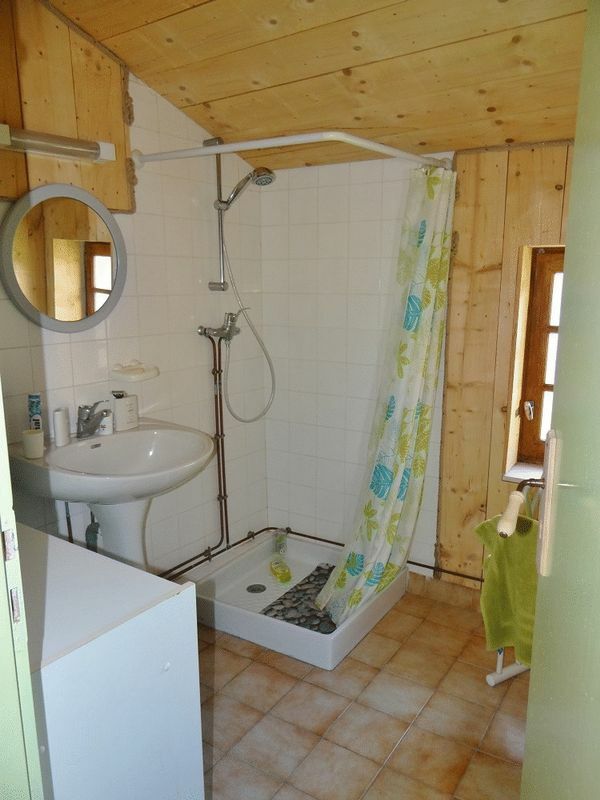 Shower Room and separate W.C. Attic above to convert. 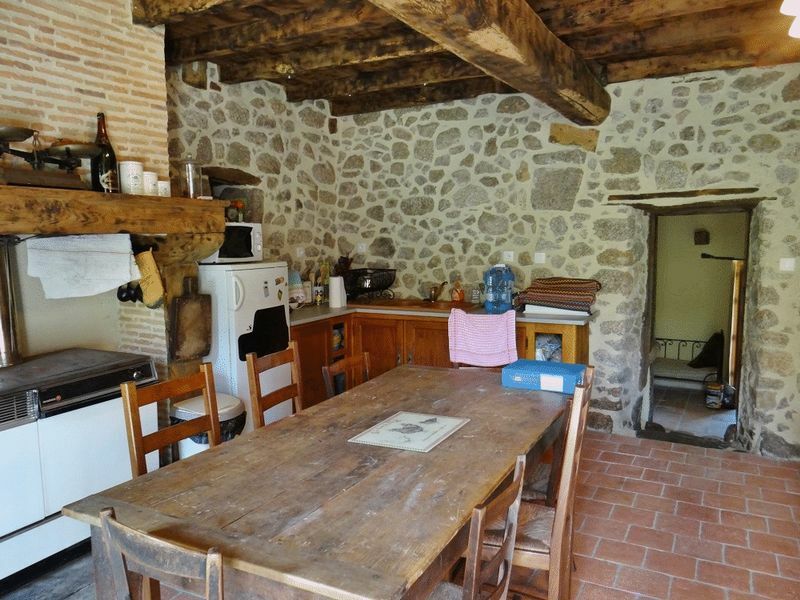 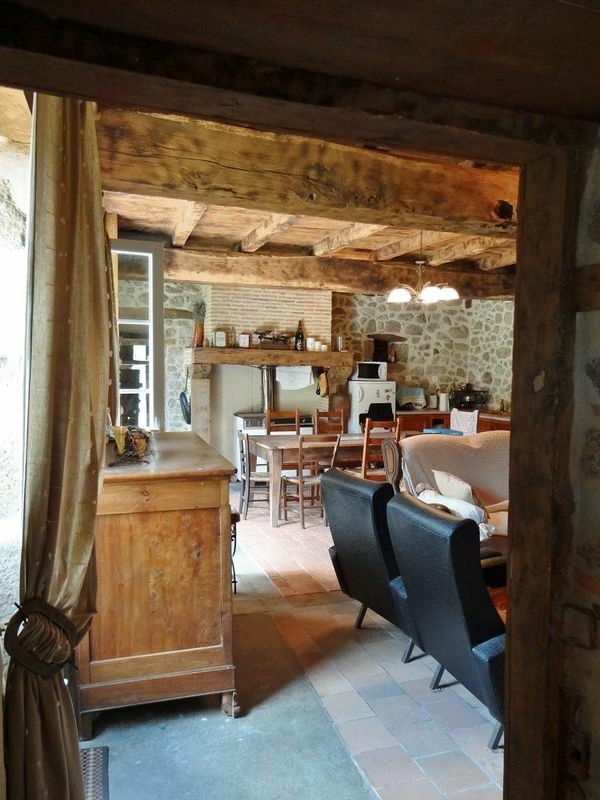 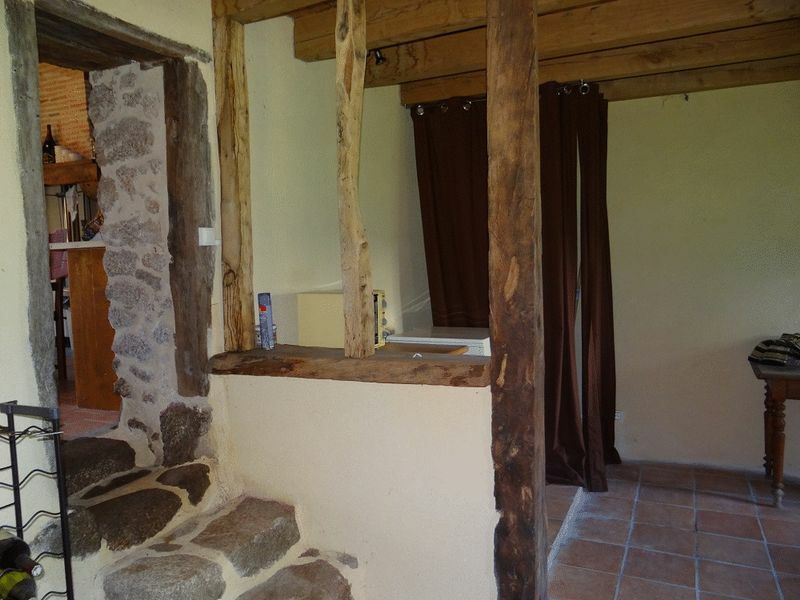 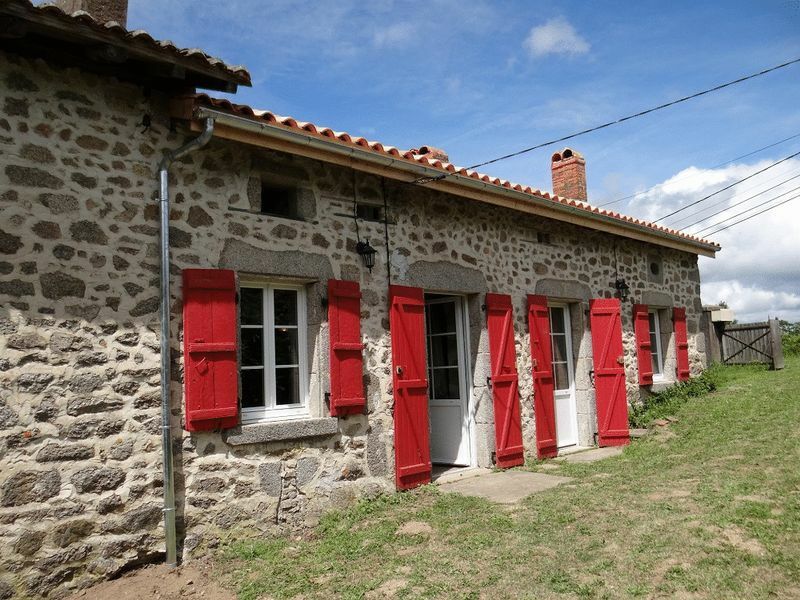 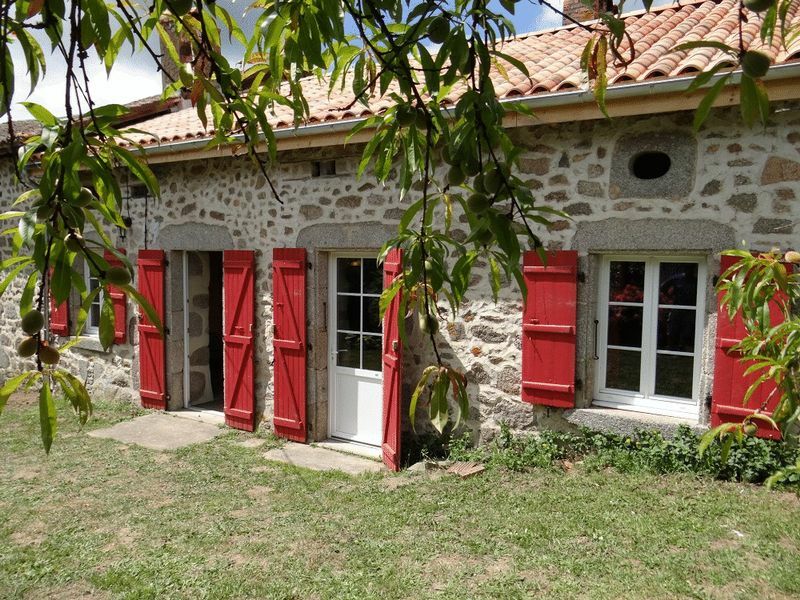 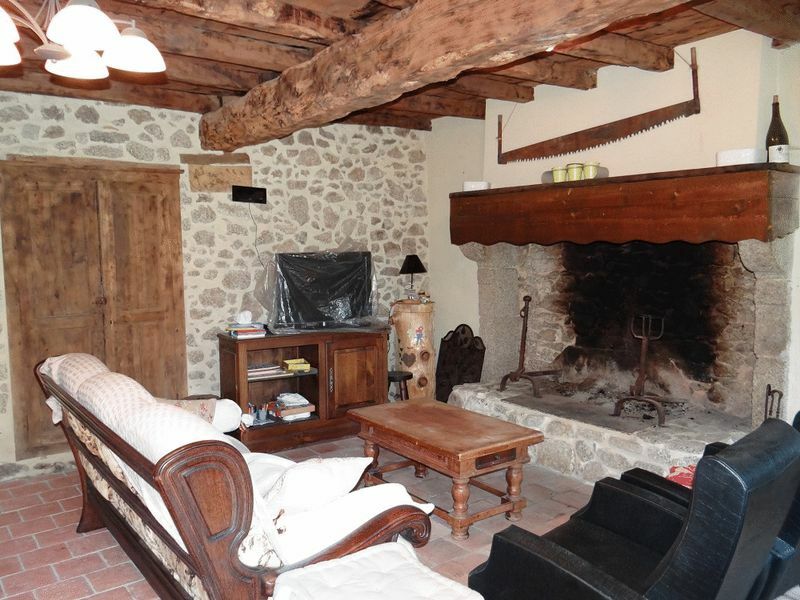 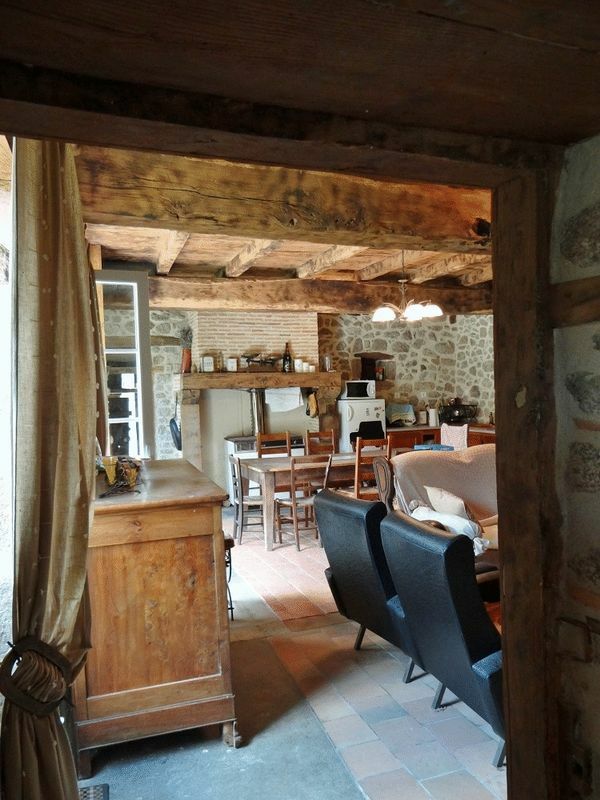 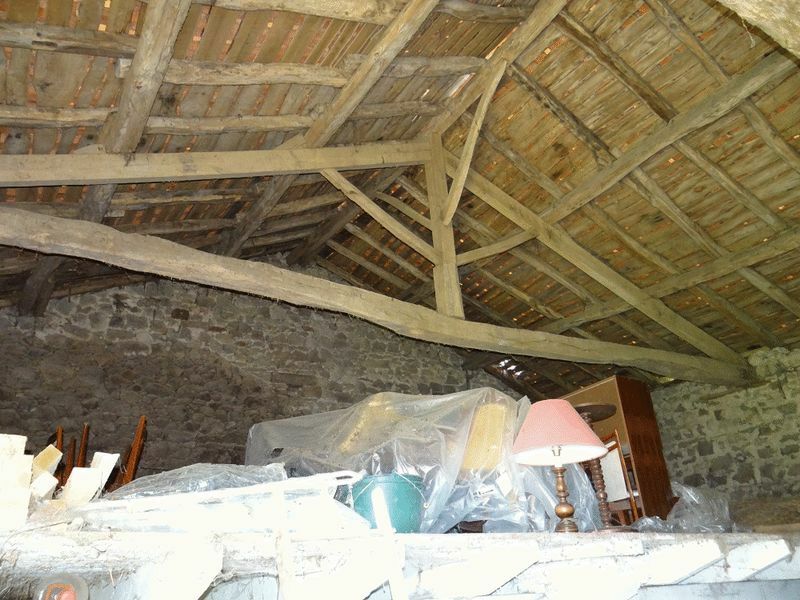 Exterior : Large Attached Stone built Barn 119 m² with Mezzanine 66 m² which has potential to create further accommodation. 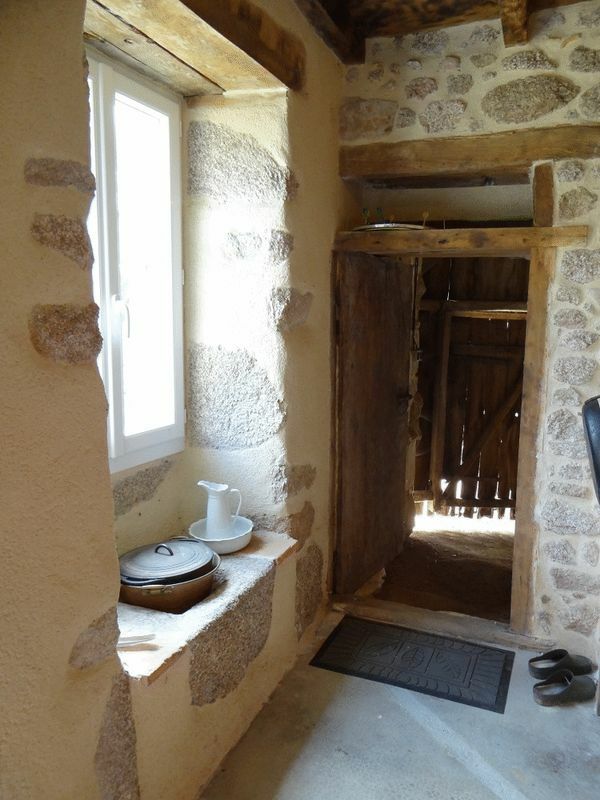 Small Outbuilding and Gardens of 2,742 m².